A gulf breeze welcomes you, offering a sense of relaxation. Neighbors gather on their spacious porches while sipping lemonade. There’s an extraordinary feeling of comfort and familiarity in this great beach community. It promotes a true sense of a place that is timeless, authentic and welcoming for generations to come, not to mention the great vacation atmosphere. 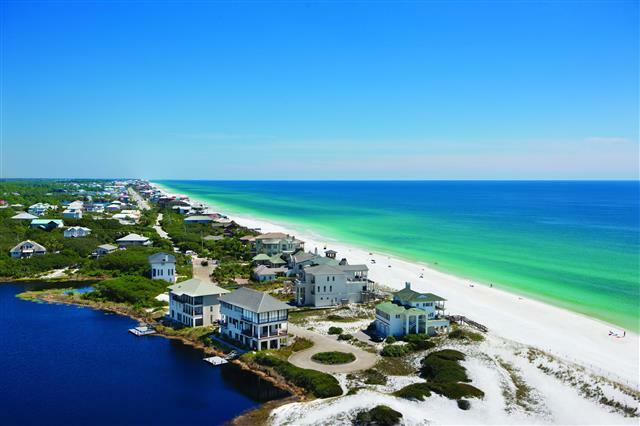 The WaterColor community is located in Santa Rosa Beach, Florida, includes residential home rentals and an award-winning beachside resort located on the beautiful Gulf of Mexico beaches and alongside serene Western Lake. The community is designed to have a small-town feel and is perfect for exploring on foot or by bike. Quaint streets and pathways connect homes to the community’s parks, lush green spaces and shops. This awesome community is located alongside the beautiful Gulf of Mexico, and also adjoins Western Lake, one of the area’s rare coastal dune lakes, squeezed between the gulf emerald waters and untouched longleaf pine forest. WaterColor amenities take full advantage of these natural surroundings with an award-winning Beach Club; over a dozen parks and green areas, including an outdoor amphitheater for cultural events; wooded trails; and access to paddleboards, kayaks, canoes, bikes, bike trailers and more. The community also has a state-of-the-art fitness center, a Town Center with shops and restaurants and several neighborhood pools for cooling off on hot days.